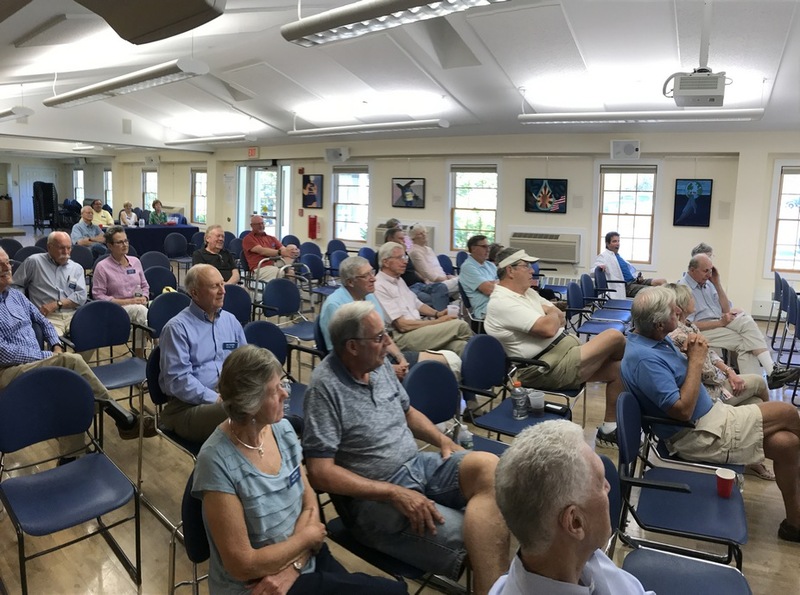 The Annual Meeting of the Orleans Citizens Forum was held on Thursday, May 18, 2017, at the Orleans Senior Center. 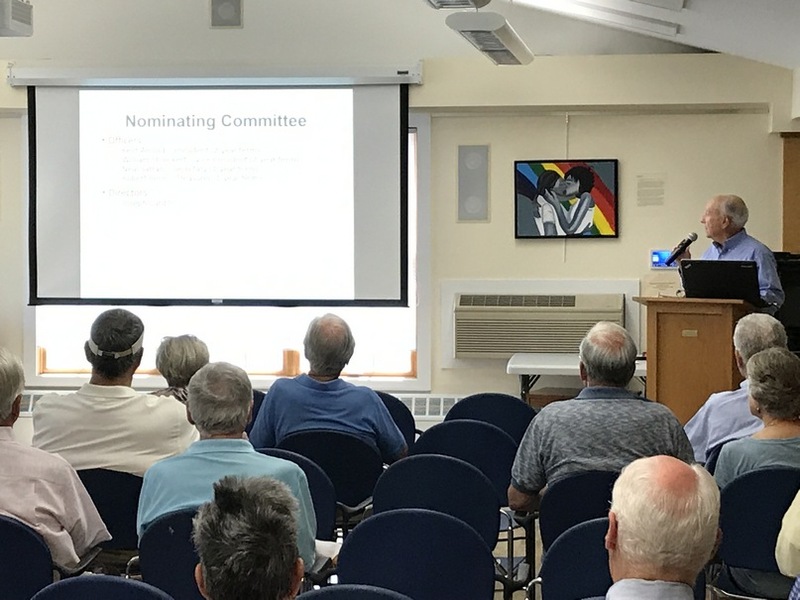 The meeting was called to order by the President, Kingsley Nelson. 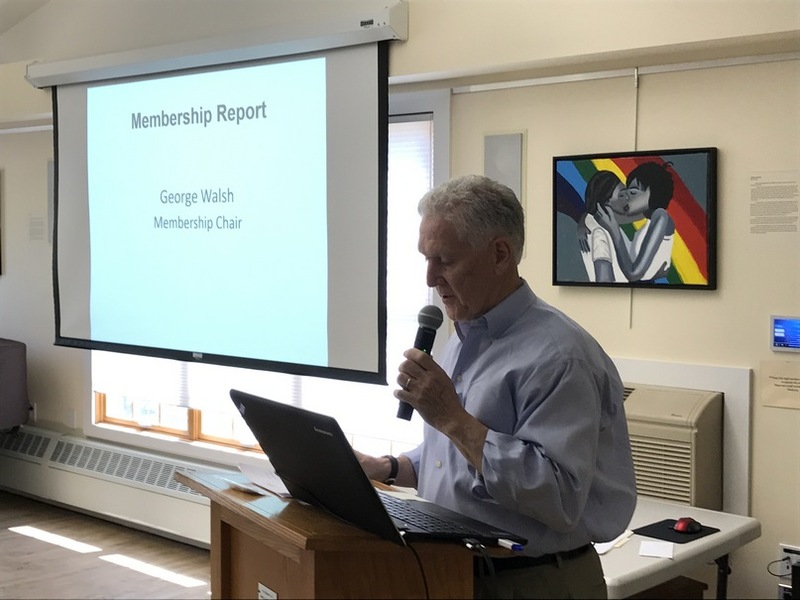 Brief reports were presented on membership status, the year’s financial results and next year’s budget, and nominations for officers and board members. 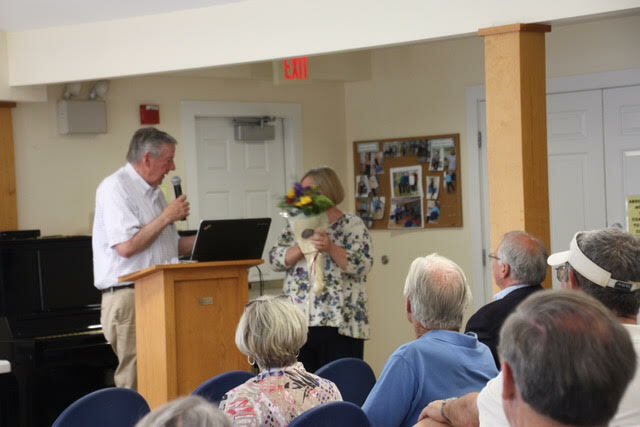 Thanks were expressed to retiring directors Eileen Bergquist, Jane Chirgwin, Judi Weil, Andreé Yager and Jeff Roy. 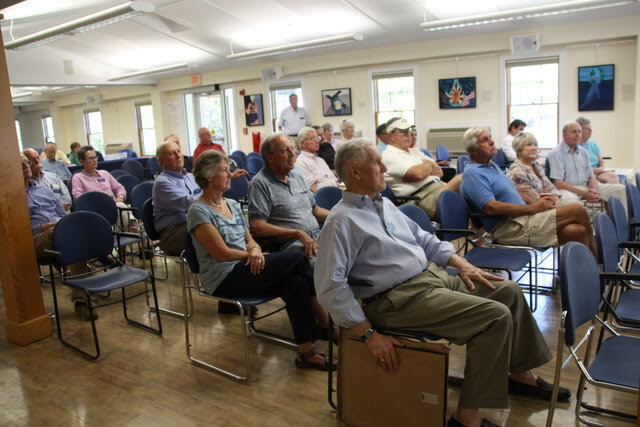 New directors elected were Sandy Davidson, Tom Hanrahan, Howie Mead and Cyndy Saul. 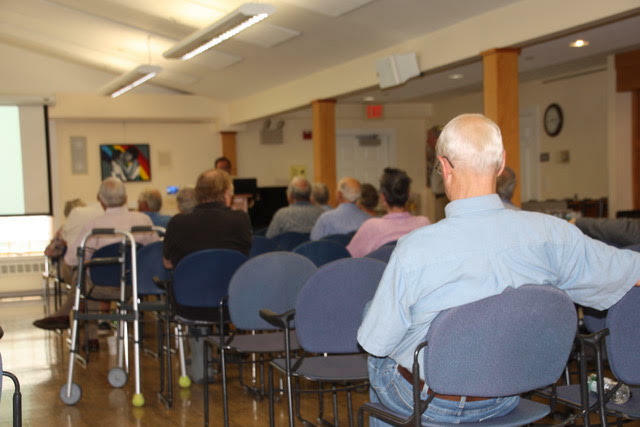 Directors continuing are Joe Cardito, Nancy Jorgensen, King Nelson and George Walsh. 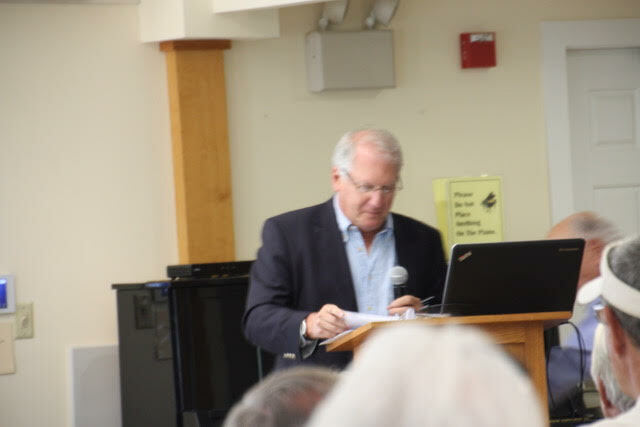 Kent Arnold summarized the past year’s forum topics and introduced the topics being developed for next year’s agenda, which can be seen elsewhere on the website. 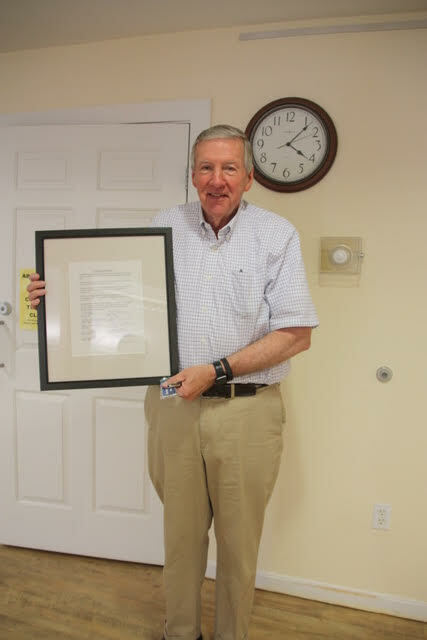 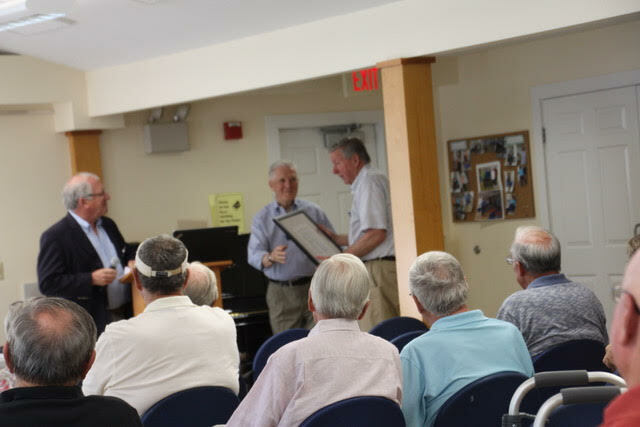 He presented King with a framed resolution signed by the board of directors thanking and praising King for his leadership of OCF the past two years. 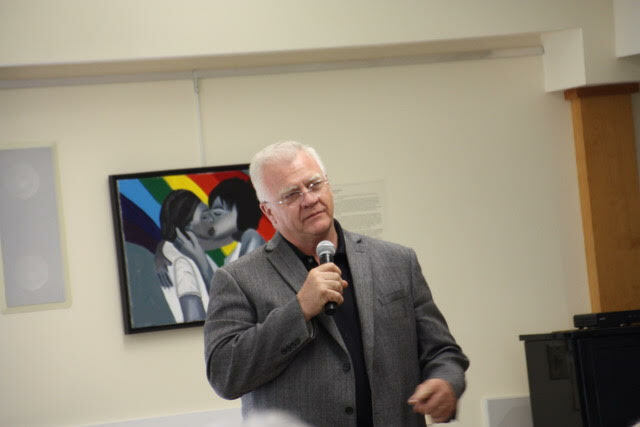 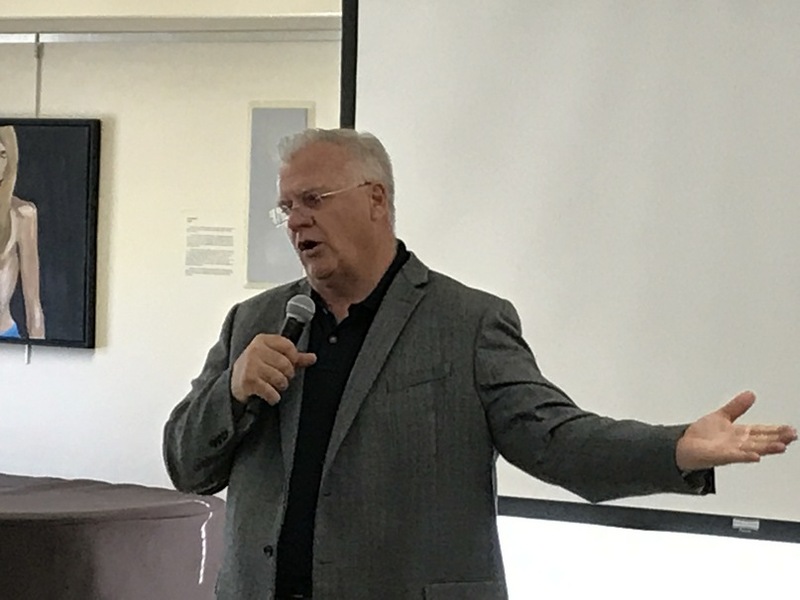 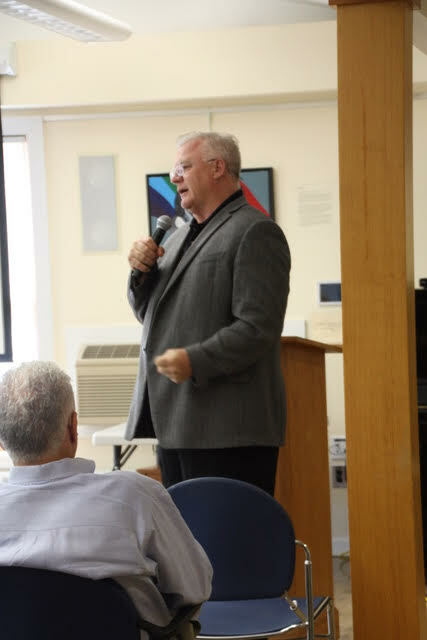 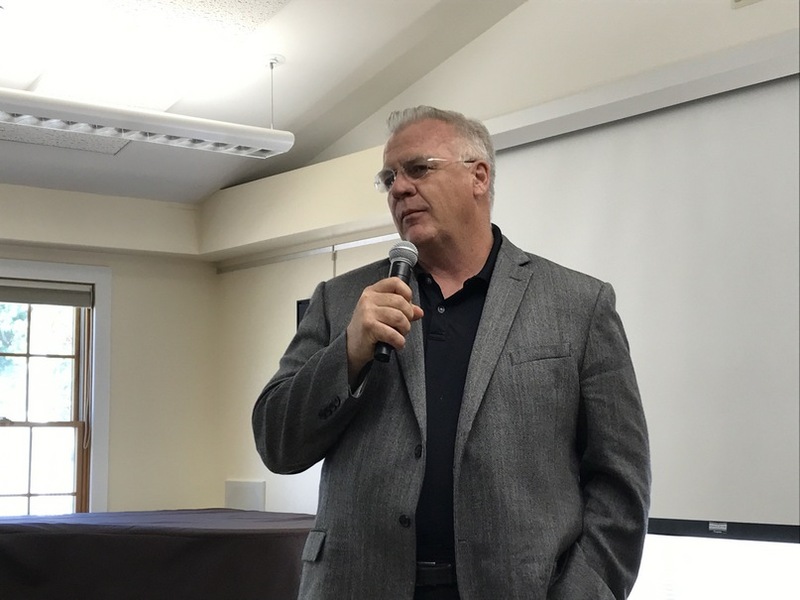 The highlight of the meeting was the talk given by Mike Sherman, the football coach whose career highlights include head coaching posts for 5 years with the Green Bay Packers and 4 years at Texas A&M. Mike had been in the NFL for only 3 years and was 44 years old when he took the job as Head Coach of the Packers! 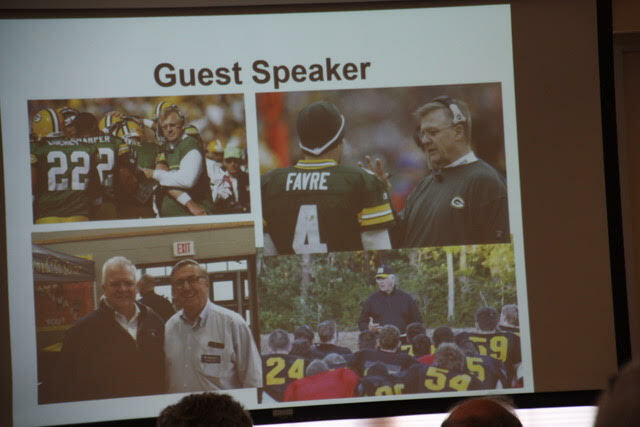 In an inspirational address, Mike shared stories from his coaching career, discussed the value of athletics in preparing young people for the successes and failures in life, an unintended huge tip he gave a pizza delivery man at the Packers headquarters, a sprint to the Cleveland stadium thinking he was late to his first head coaching game and many other interesting, humorous and compelling stories. 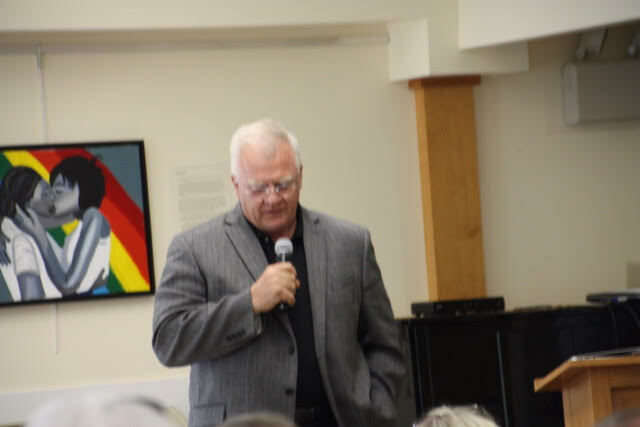 Mike recounted the tremendous comeback that produced the Superbowl win for the Patriots last February. 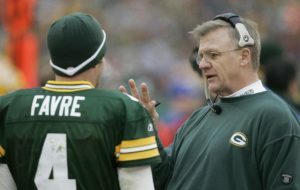 He said it was the best 4th quarter comeback probably in football history and likened his “retirement” to Cape Cod three years ago to planning to become his personal best 4th quarter of his life. 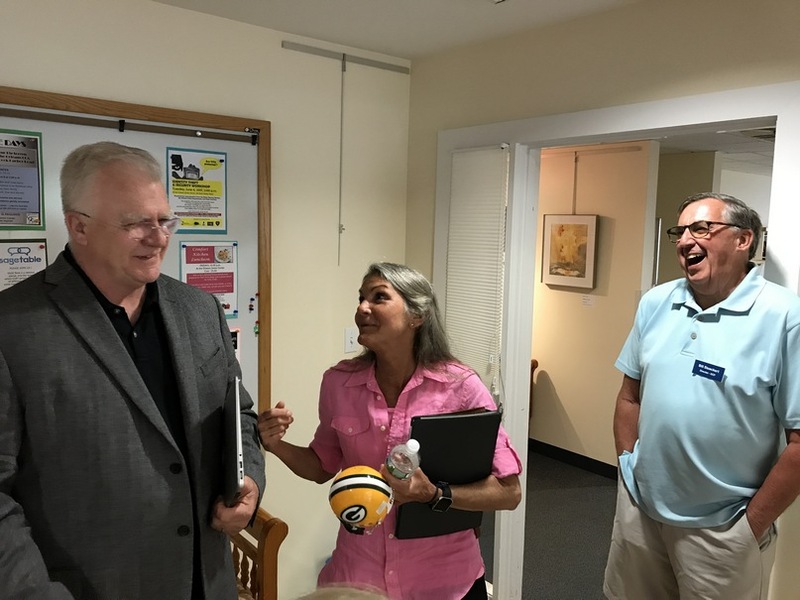 Mike is walking-the-walk, having stepped in to coach the Nauset High School football teams till a permanent coach could be recruited. 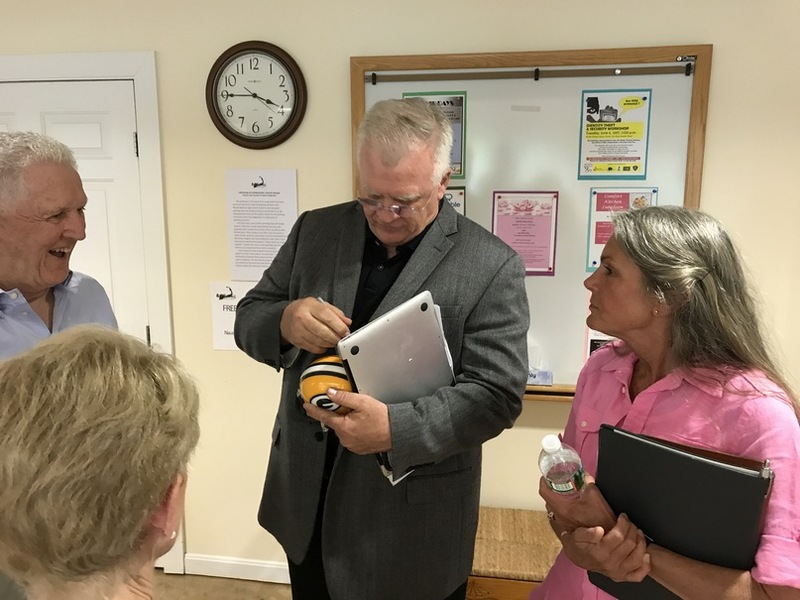 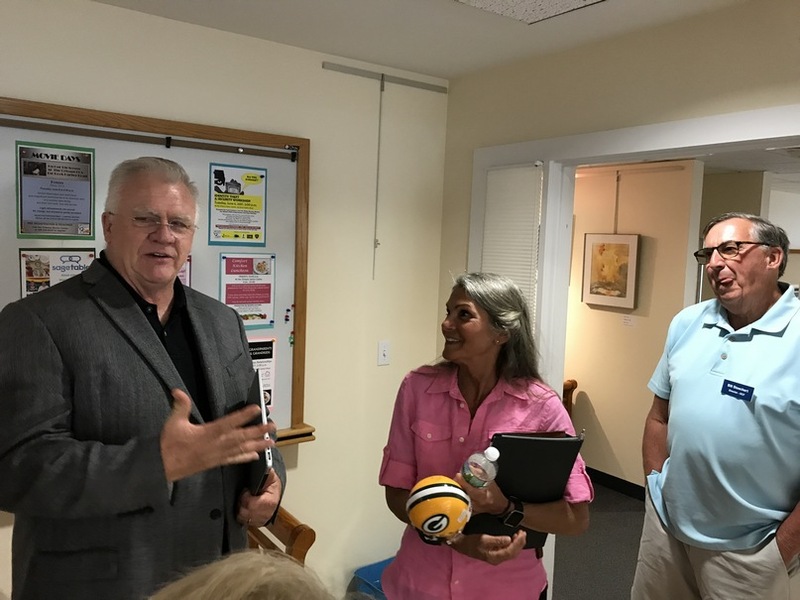 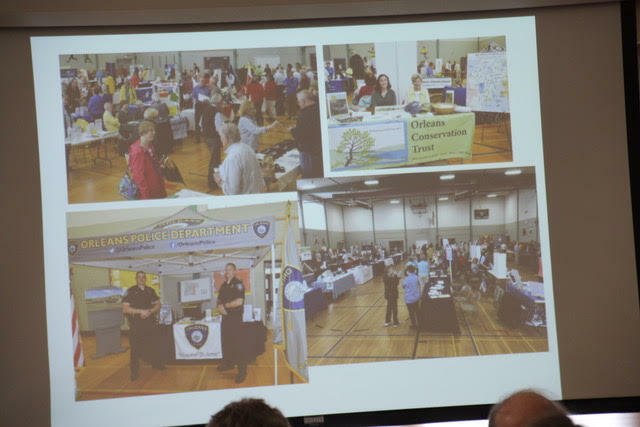 In addition, he is initiating and leading an effort to raise money to enhance the Nauset Middle School Auditorium features and develop its use as more of a community asset available for people of all ages. 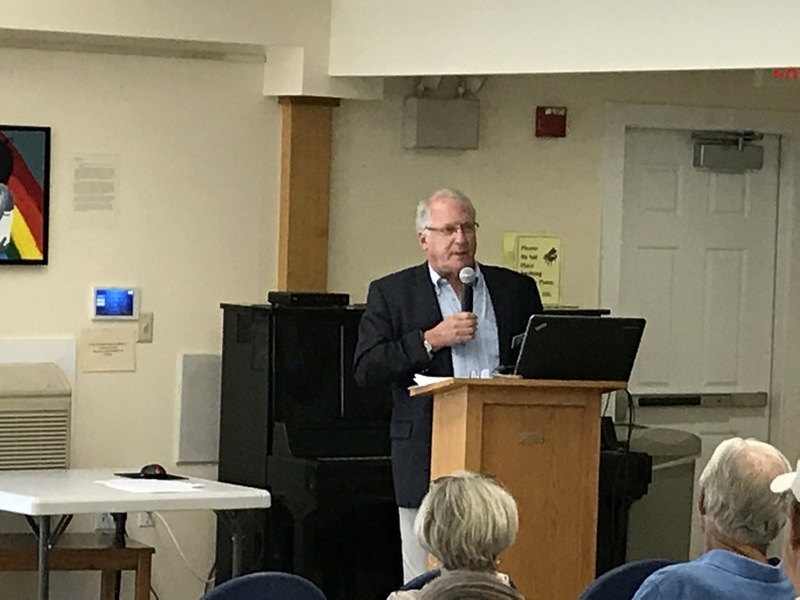 His third project is managing partner of a venture to develop and operate a major sports complex in Hyannis with programming, again, for all age groups. 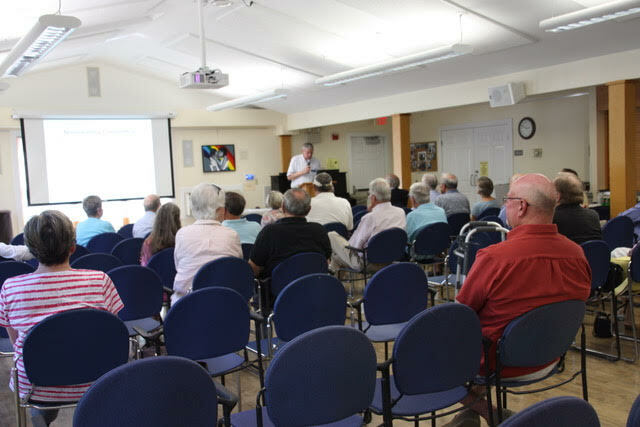 Mike and his family, having vacationed on the Cape for over 30 years, decided it would be their retirement home. 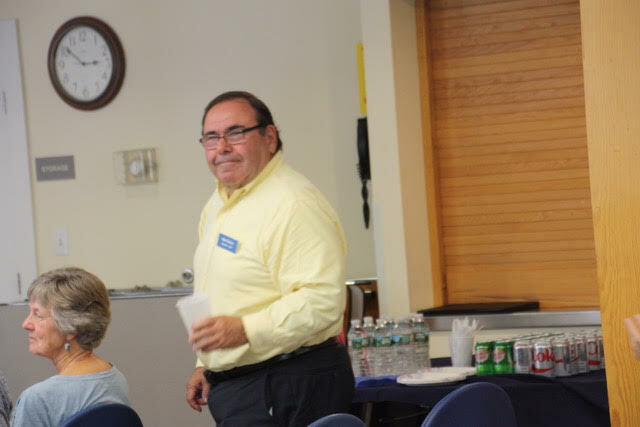 The Cape is fortunate to have a man of Mike’s drive, vision and energy to lead these efforts. 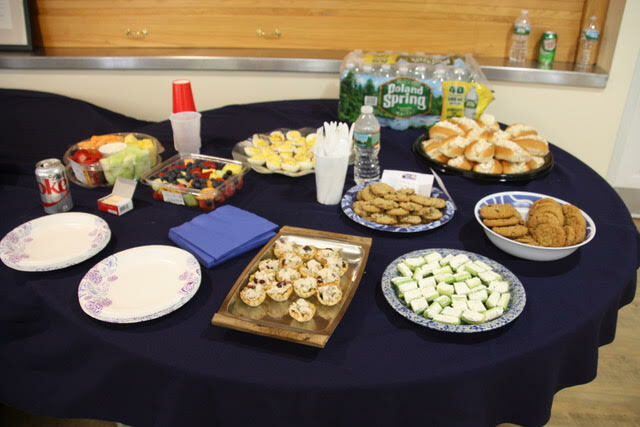 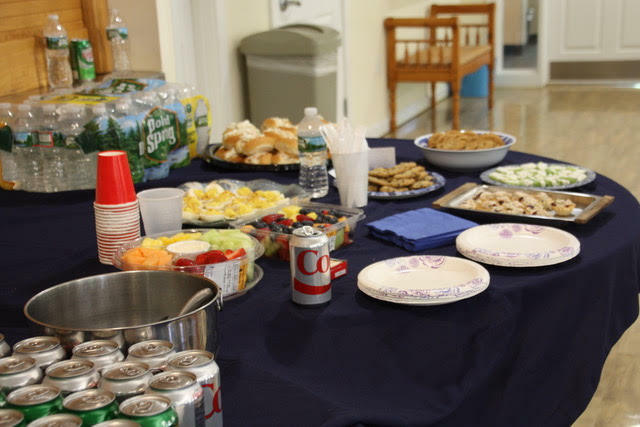 Refreshments were served after Mike took several questions from the audience. 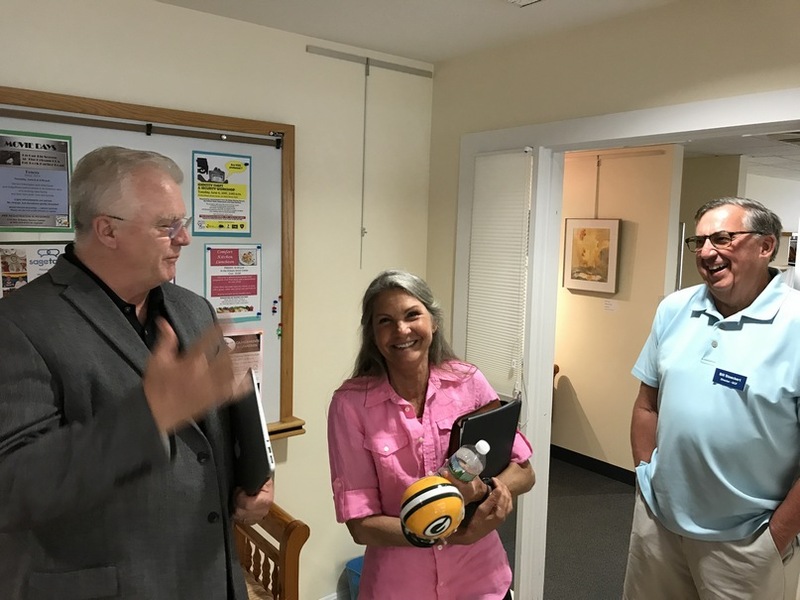 Thanks were expressed to Judi Wilson for her assistance in making the Orleans Senior Center available for most of the Forums.